One of the great all around boats, especially for those who lean towards rivers over lakes. I have not had a chance to use this as much as I have the Old Town Tripper and the Old Town Pathfinder (Camper). It was purchased for river camping and as a boat that could handle larger rapids than my other boat the Old town Pathfinder. It has mainly been used in the rivers of North Carolina. Although friends have been very happy with it paddling most years of their lives across Canada with or without their child. A 17-foot boat might be easier with gear and two kids, but you could do it in this one as well. The boat features a shallow V hull which acts to give the boat greater secondary stability. It is noticeably more stable in whitewater than my flat bottomed Pathfinder. Unfortunately the Explorer is not quite as nice as they used to be. At some point the company decreased their thickness or quality of Royalex and produced a product with less stiffness and more oil canning. I believe this happened sometime in the '80s however I will have to double check. I think mine is an early '80s boat and still has a fairly stiff hull, while some of the newer ones from the early 2000s that I have used are noticeably flexible on the bottom to the point where they essentially turn into flat bottom boats and lose all benefit of the the shallow V hull. So go find one on craigslist that is old and stiff. 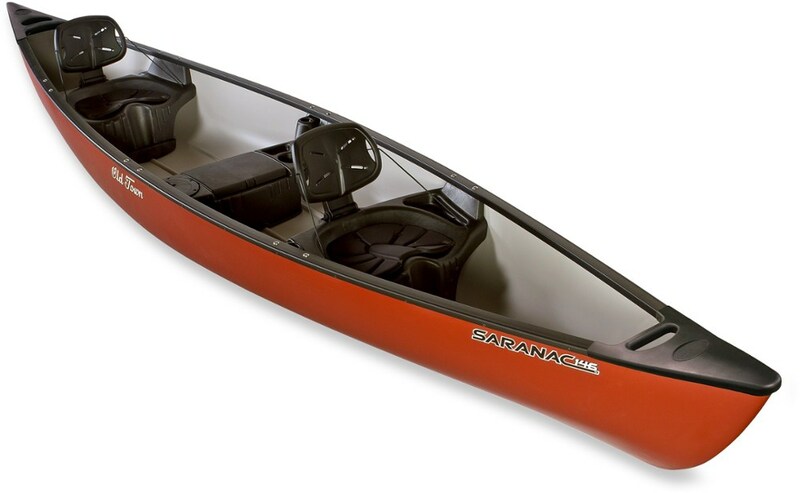 Many folks consider them to be sluggish, but I don't notice that much of a difference between them and the other canoes I mentioned at the beginning of this review. 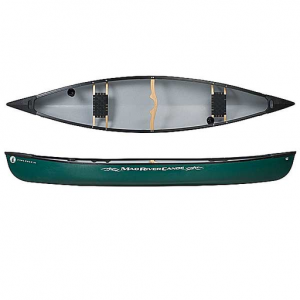 A canoe like the Penobscot may track slightly better and feel like it cuts through the water with more ease, but I don't think it is too incredibly great of a difference. I bought this boat to tackle class III rapids with or without a load with two people. It also performs quite nicely on quiet water. Rivers like the the Haw, the Cape Fear, and other rivers of greater rapids that have rapids followed by stretches of flat water are perfect for this boat. 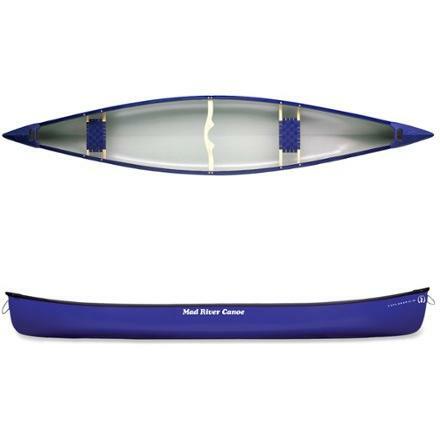 The flare, depth, shallow V, and rocker allow you to tackle the rapids without feeling like you are driving a bathtub on the flat water in-between. The family friends who have spent their lives paddling used this as a whitewater boat and were quite happy with its performance in class IV and even some IV+. They are serious and from the old school though as perhaps many people these days don't think of running such a boat as this one in such water (or at least that's the impression I get from many reviews on the web). Perhaps it's much like the mountain bike world where half the guys feel they need what looks to be a motorcycle minus the engine when the old folks bombed it without shocks. Depends on what level of luxury you are looking for. The wooden gunwales and cane seats are beautiful and make the boat feel a bit classier than the Old Towns with their vinyl gunwales. However these require maintenance of oiling and backing out the screws every winter. The wood and ABS plastic expand and contract differently during the winter and not loosening the gunwales and crack the boat! Friends have reported having to replace the wooden gunwales a few times over a lifetime of use since you can really tear them up or crack them on rocks in rapids. The durability of the vinyl layer on the Royalex does not seem to be as tuff as I have found it to be on the Old Town canoes. Overall I would consider Old Town to produce a slightly more durable product while Mad River produces a slightly classier looking product. Both are going to last you a lifetime. The bottom edge of the shallow V is known to wear out first since all contact with river bottoms and the like is concentrated there. Rounded and flat bottom boats tend to take the scratches and gouges in a more dispersed manner and possibly last longer (the shallow V will still last you a long time). 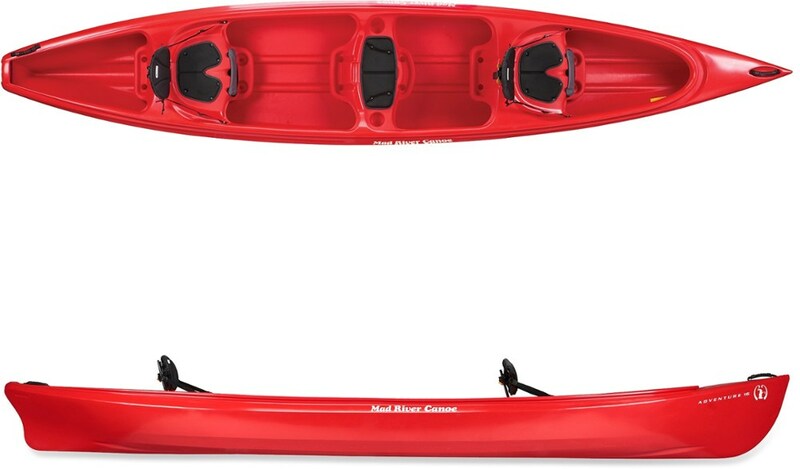 As I have said in other reviews, if you are just going to be paddling flat water and not running it up on shore or coming in contact with rocks then buy a lighter kevlar or a cheaper fiber glass. Aluminum is also great for those applications. I hesitate buying used aluminum boats though if there is a chance they were used in salt water. As I get to use the boat more I will refine this review. So far I would say that you can't go wrong with this boat. When buying used make sure to check for cracking on the nose in case folks have forgotten to loosen the gunwales in the winter over the years. Thanks for the review and tips, Albert. I'd love to see some pics of your boats in your reviews too. 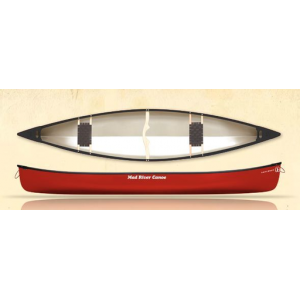 The Mad River Explorer 16 is not available from the stores we monitor. It was last seen April 23, 2014	at REI.